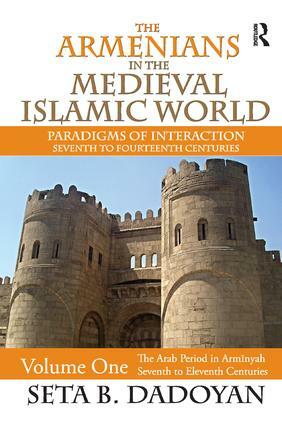 In this first of a massive three-volume work, Seta B. Dadoyan studies the Armenian experience in the medieval Islamic world and takes the reader through hitherto undiscovered paradigmatic cases of interaction with other populations in the region. Being an Armenian, Dadoyan argues, means having an ethnic ancestry laden with narratives drawn from the vast historic Armenian habitat. Contradictory trends went into the making of Armenian history, yet most narratives fail to reflect this rich texture. Linking Armenian-Islamic history is one way of dealing with the problem. Dadoyan's concern is also to outline revolutionary elements in the making of Armenian ideologies and politics. This extensive work captures the multidimensional nature of the Armenian experience in the medieval Islamic world. The author holds that every piece of literature, including historical writing, is an artifact. It is a composition of many elements arranged in certain forms: order, sequence, proportion, detail, intensity, etc. The author has composed and arranged the larger subjects and their sub-themes in such a way as to create an open, dynamic continuity to Armenian history that is intellectually intriguing, aesthetically appealing, and close to lived experiences.